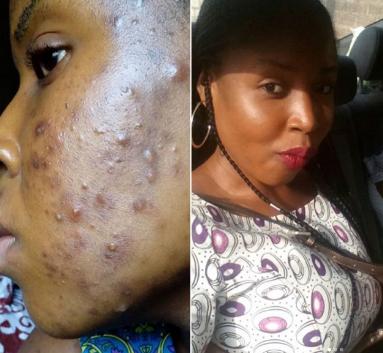 A gospel singer, Sharone, took to her IG page to celebrate living acne free for one year after Dunamis pastor, Paul Eneche commanded the acne to dry up. Who says miracles aren't real? who says they are temporal? 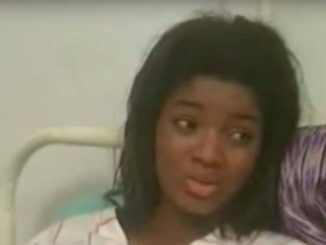 April is about to end and I haven't forgotten that it was April 13th last year that my father Dr Paul Enenche cursed the terrible acne on my face, that defied all medical and natural remedies. He said "I command you to dry up!" and he told me sometime later after it had dried up (it dried up the next morning after that decree) "it will never come back"
Its a year now and I am still free. I had to compile a lot of photos to shame the devil that wanted to make me ugly. It wasn't coincidental that we sang today in the choir a song titled "thank you Lord" a song by Dr Paul Enenche. I sang that song from every fibre of my being because a lot crossed my mind while we sang. A lot happened from that 13th of April encounter that hasn't left me the same. I am grateful to my healer and also thankful for the blessing of a spiritual cover.